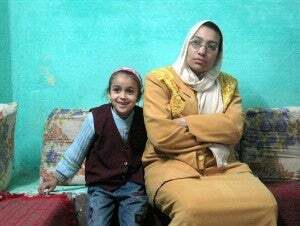 A grass-roots movement against female circumcision in Egypt (where 96% of married women are circumcised) is gaining momentum with mothers considering circumcision for their daughters. • Male contraceptive options will "perpetually remain five to 10 years away." Why? Pharmaceutical companies believe they aren't marketable, although many men disagree. • Nazmunnahar Beauty had to struggle through orphanhood and poverty to make it to Olympics, much like the rest of her Bangladeshi teammates. • Keren Dunaway, a Honduran tween who was born with HIV, is one of the most prominent AIDS activists in Latin America, where she edits an educational children's magazine about the virus and speaks at major conferences.Filipino teachers are becoming more popular hires as school officials in Prince George County, MD see a shortage in staff. • Presented without comment: "A herpes virus is killing young oysters in France because they have spent too much energy developing their sexual organs rather than their natural defenses, an oyster crisis team has found." • Bacterial vaginosis, a common vaginal infection, can make women more likely to contract HIV, perhaps due to chemical changes in the vaginal canal. • Incarcerated women in Afghanistan find that keeping their children with them in prison, despite the health risks, is safer for the children than giving them to an orphanage. • Pregnant Australians are having a difficult time finding a job since many prospective employers view pregnancy a hinderance on their business. • Miss USA (you know, the one who fell this year) admits to having plastic surgery done to her but only advocates it to "enhance what you have." • Elissa Steamer won the gold medal for women's skateboarding at the 2008 X Games and is quickly becoming one of the top female street skaters around. • Tinkerbell will be given a starring role in a new DVD film from Disney as they begin to create a Fairies franchise similar to their Princess franchise.